Enough said. Fenway Park doesn’t need any introduction. 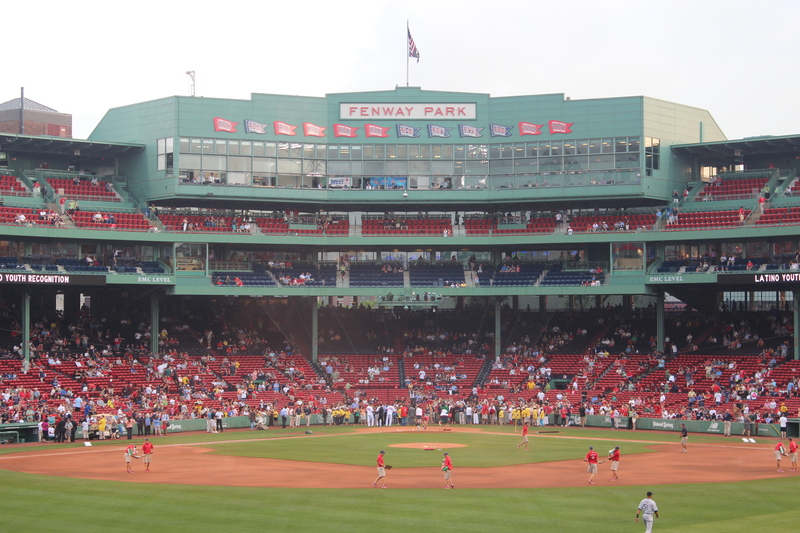 It is the oldest standing MLB park and should be visited for that reason alone. If you have an appreciation for baseball and have been to your local fields, you have got to stop by the park just to have a gander. It is amazing. You can find tickets for around 30 bucks (if they aren’t playing the yankees!) online out in the grandstands. That sounds not so pleasant, but it is honestly my favorite place to watch the game. You really aren’t as far as it seems from the game and that’s where people really have a good time. Sit back, have a few beers, and enjoy the game! That’s the view from our seat in the grandstands! If you are looking to get some red sox gear for the game, head to a marshall’s in the area. They have shirts and hats for a quarter of the price at the stadium. That’s where we got all of our gear! If you are in town and the sox don’t seem to be as well, have no fear. There are tours of the stadium that are absolutely amazing as well. 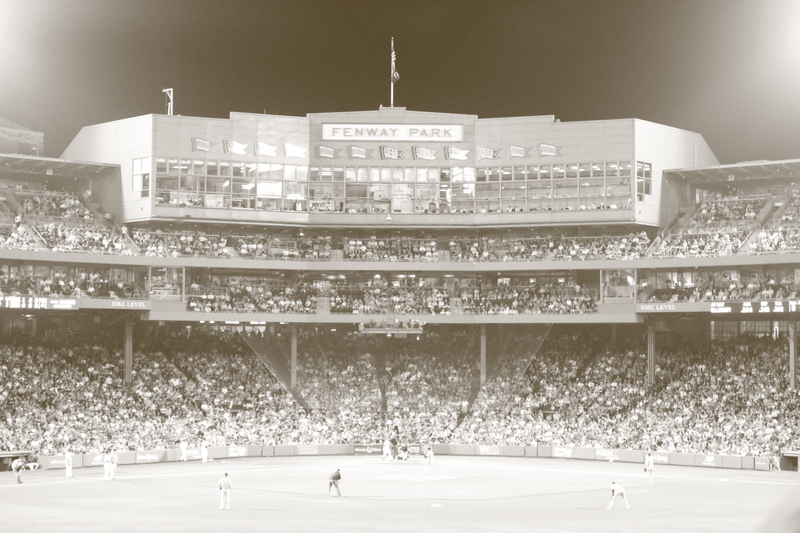 They take you behind the scenes at Fenway and inside the green monster. 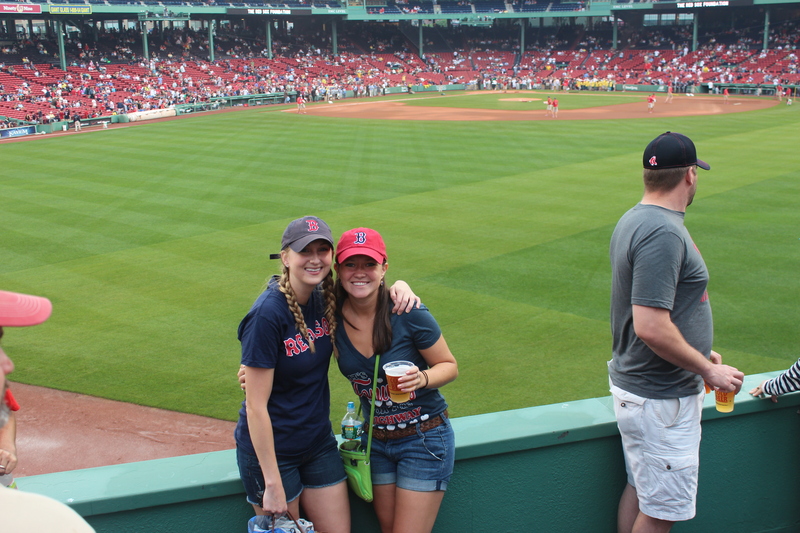 Even if you aren’t a Red Sox fan, it’s a must do. 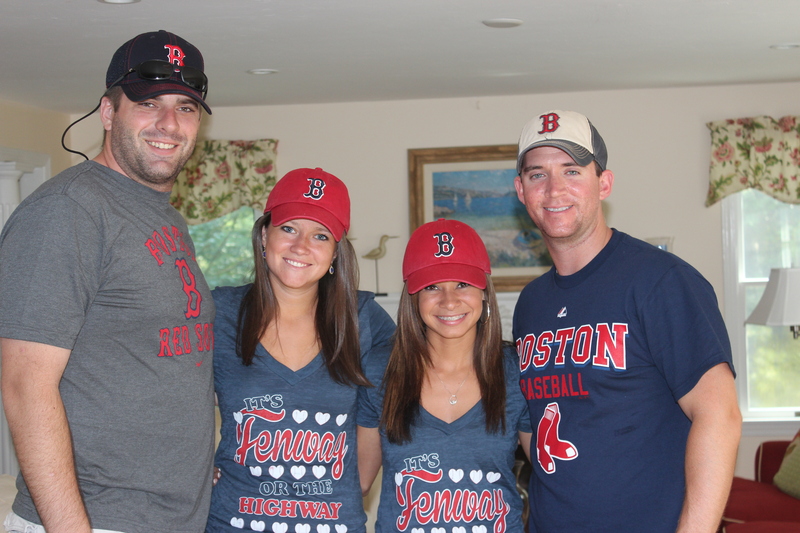 There is a reason Red Sox fans didn’t want to tear it down!